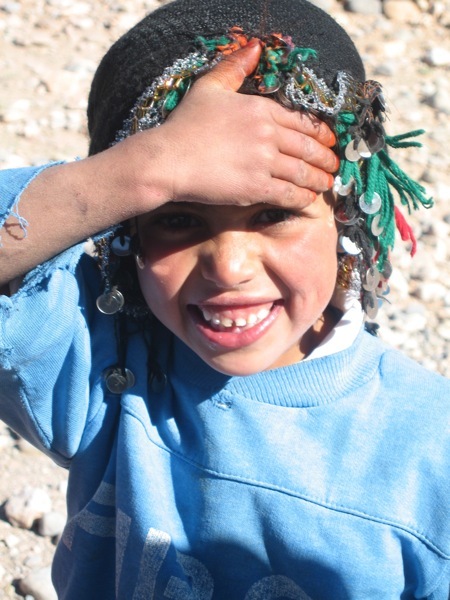 Let 2010 be the year you choose to Travel to Morocco! Morocco is a cold country with a hot sun and offers a wide array of exciting travel opportunities. Travel Exploration Morocco’s Excursions and tour include the great Sahara Desert which stands alone offering a majestic beauty that is second to none. The Sahara Desert’s dunes make way for camel treks and 4×4 exploration. Foreigners from abroad come to Morocco to enjoy sunset camel treks to an Oasis where they can have an overnight stay in a traditional bivouac tent in the Sahara Desert, sleep under the stars and explore the Sahara’s unique flora and fauna. 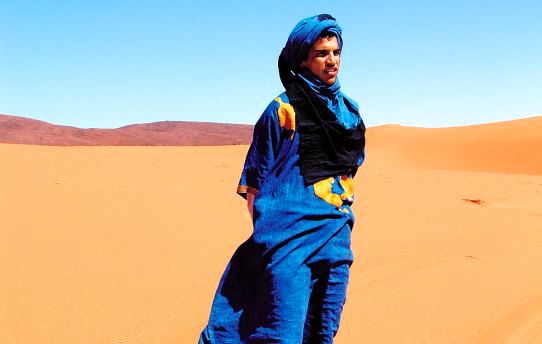 The Sahara Desert’s mélange of Berber, Arab (Sahrawi) and Tuareg people give it immense character. Moroccan travelers who visit the Sahara can pay homage to its history by visiting Saharan Desert towns such as Merzouga, M’hamid, Rissani, Erfoud, the capital of Fossils, and Zagora. The Sahara Desert region continues to produce some of Morocco’s most original silver jewelry, amber and trade beads, handmade wooden items such as mirrors and boxes that have an overlay of animal skin or leather that are painted by the Tuareg people. Sahara artists also produce a stunning array of Berber and Tuareg silver crosses that are indigenous to the Sahara Desert Zagora region. There is also a rich heritage of weaving traditions in Morocco. The Berber and Tuareg weaving techniques are unique to Southern Morocco and when visiting Morocco for a travel and exploration adventure, make sure to seek out local villages and carpet shops recommended by Travel Exploration in Southern Morocco. The Ouarzazate and Zagora region offer unlimited shopping opportunities for Berber carpets that can be purchased at a reasonable price; with a portion of the proceeds given to local Berber villages. 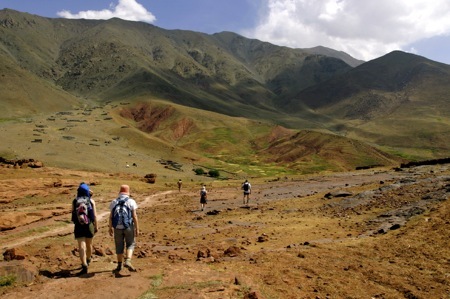 Other Morocco Tours for the adventure traveler include trekking in the Atlas Mountains of Jbbel Toukbal or spending a week in Morocco to discover Morocco’s Imperial Cities such of Casablanca, Rabat, Marrakech, Fes, Meknes, the holy city of Moulay Idriss and the Ancient Roman Ruins of Volubilis. When taking a Morocco Tour to the Imperial cities, it is important to explore Morocco’s old medinas’ (cities), Morocco’s historical monuments, palaces and mosques plus its lush gardens. La Mammounia Hotel & Garden, Le Koutoubia Mosque and Le Koutoubia Garden, the Majorelle Gardens and the Menara Gardens are just a few located in Marrakech that will enable travelers to Morocco to engage in the natural surroundings this unique, modern and moderate Muslim country offers. 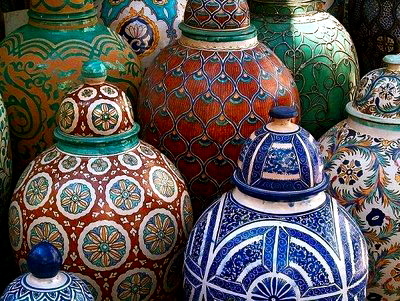 When visiting Morocco for a travel and exploration opportunity, don’t miss out on the exploration of Moroccan cuisine for a taste of Morocco and Moroccan music festivals. Morocco’s red hamra city of Marrakech has paved the way for a new style of Moroccan cuisine. Marrakech boasts the hottest restaurants that serve up an mélange of French, Moroccan flavors alongside the trendiest International imported food chains that enable foreign travelers to Morocco and locals to eat sushi, pizza and hamburgers. 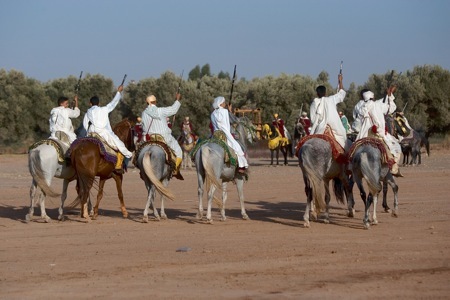 Morocco’s music festivals and local mousseums are another travel and exploration opportunity. 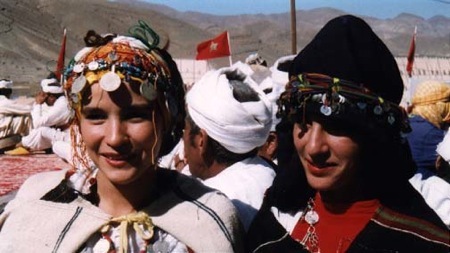 There are over 50 annual mousseums and music festivals held annually in Morocco. Each mousseum and music festival has a different meaning, theme, and musical repertoire that make them an attractive option for a Morocco Tour. For singles or independent travelers who wish to explore Morocco alone, Travel Exploration Morocco offers specialized tours lead by an English speaking driver and guide for reasonable prices. Travel Exploration Morocco also offers the option of customized, private Morocco group tours. Travel Exploration Morocco Travel guarantees you will discover the best of Morocco while having an up-close, authentic experience with Moroccan people. You are currently browsing the archives for the Morocco Cuisine Tours category.